This article is 634 days old. 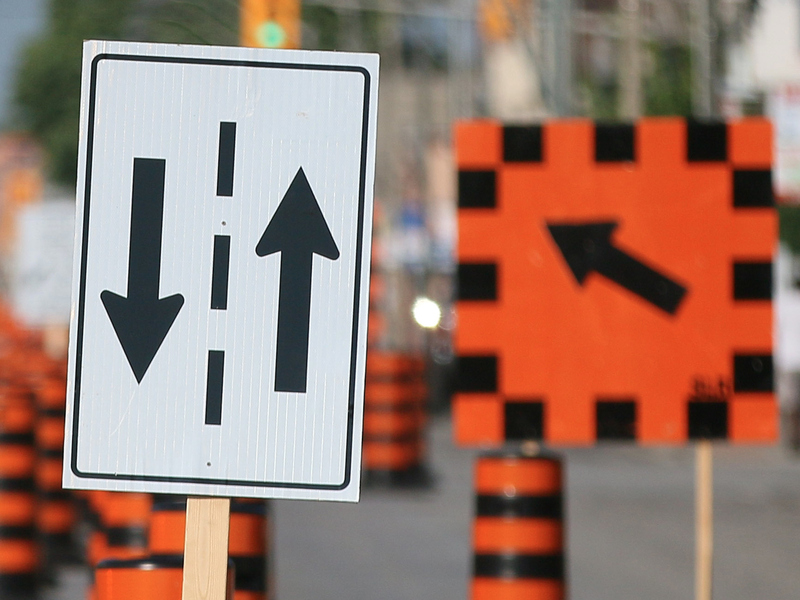 Road construction projects in the City of Windsor are in full swing. Each Sunday we will provide an updated list of the current projects underway and the expected completion dates. From Lilac Lane to Beachdale Road will have lane restrictions for milling and paving until July 28th. From Elsmere to Conservation Drive will be closed for reconstruction until August 18th. Between Norcrest Avenue and the city limits will be reduced to one lane for resurfacing until July 28th. Roads will be closed in the vicinity of the new roundabout, which is to be constructed at the intersection of Riverside Drive West, Sandwich Street, University Avenue West and Rosedale Avenue will be closed until September 1st. Will be restricted to one lane in each direction from Walker Road to Howard Avenue for bridge rehabilitation until August 18th. Will be restricted to one lane traffic in east and west directions from Provincial Road to east of Howard Avenue for underground watermain & storm sewer installation, road widening, sidewalk and bike lane pavement until December 2017. From North Service Road to South Service Road will be closed for Bridge Rehabilitation until August 18th. Between Edgar Street and Turner Road,will be closed for sewer, watermain and road reconstruction until August 14th. From Wyandotte Street West to Straith Park will be closed for watermain work until July 31st. From College southerly to the alley south of Grove will be closed for water main work until JUly 31st. Eastbound Wyandotte Street West will be closed and westbound Wyandotte Street West will be reduced to one lane at the bridge over CP Rail​, between Crawford Avenue and Janette Avenue for bridge rehabilitation until August 4th. Will be closed one lane in each direction between Curry to Partington for watermain, milling and paving until August 11th. Between Edgar Street and Tranby Road will be closed for sewer, watermain and road reconstruction until August 14th. Between Prince Road and South Street will be closed for sewer, water main and road reconstruction until August 25th.